gplink is pleased to announce an enhanced relationship with Viking Yachts! gplink installation is now included aboard most Viking Yachts before the owner takes delivery! This means that right out the door, Viking customers have greater protection, our great 24/7 monitoring staff keeping an eye out for trouble, and insurance discounts. Plus they also have a running record of engine performance to share with their engine dealer in the event of trouble, or to help increase the vessel’s value at resale time! We’re excited about this new relationship and the peace of mind we can provide to Viking owners. 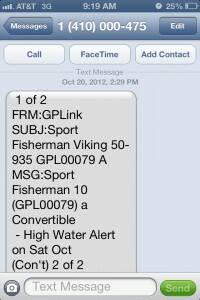 More than 700 miles away, Captain Todd Anderson received a gplink SMS High Water Alert on his phone for a Viking Yacht that had days before been moved into the Fort Lauderdale International Boat Show. Left unattended until the start of the show, this boat may have sunk if it were not for it’s active gplink monitoring & notification system. 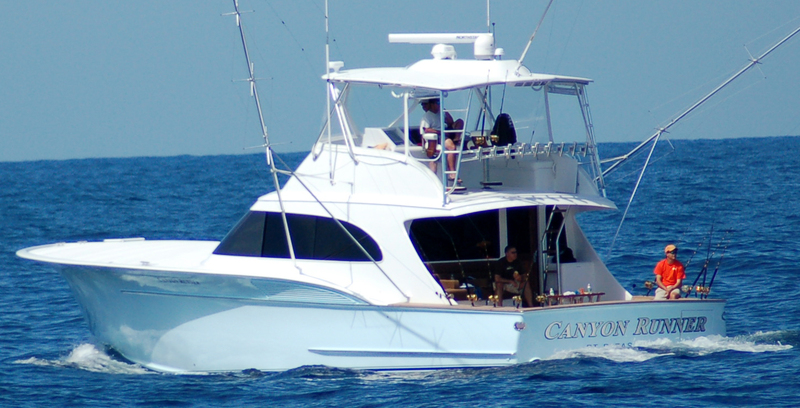 Captain Anderson immediately called the nearby boat broker, who contacted an associate on-site at the show. This chain of contact led to the discovery of a blown hose on the vessel’s air conditioning pump, potentially could have filled the bilge with water faster than the bilge pump could transfer out. The on-site associate immediately addressed the issue, and the boat went on to receive numerous offers during the show – once again proving gplink remote monitoring as an invaluable tool.